Bajaj Auto is trying to gain as big a share as possible of the commuter motorcycle segment in India and its Discover sub-brand has been the torch bearer for the same. It has launched the all new 2014 Bajaj Discover 125 which will sit below the 125ST and 125T variants. The Discover 125 has been launched keeping in mind the buyers who have mileage as a top priority in their checklist, while also wanting a bike doesn’t look to plain jane. Powering the commuter motorcycle is a 124.6cc 4 valve DTS-i motor that has a maximum power output of 11 BHP @ 8,000 RPM and a peak torque of 10.8 NM @ 6,000 RPM. The engine gets mated to a 4 speed gearbox like majority of the commuters out there on sale. As the mileage is one of its key selling points, it will deliver 76 KMPL. It basically combines the power of a 125cc bike with the mileage of a 100cc bike which is pretty good according to us. It gets a Nitrox twin-suspension at the rear to ensure that you get a comfortable ride on those bumpy roads. The bike claims to have a top speed of 100 km/hour and will be offered in 6 paint options which are Electron Blue, Wine Red, Charcoal Magenta, Charcoal Green, Silver Blue, Silver Gold. The Y-shaped 10 spoke alloys look good as well on the bike and provide a respite from the regular spoke alloys. 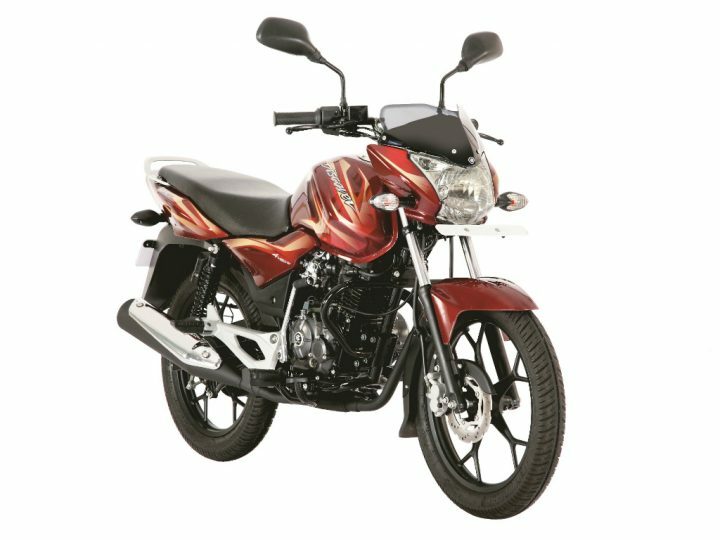 Bajaj is going on adding more and more variants to the Discover line-up with passage of time and it does not intend on stopping as well in the current year. We believe that the customers are getting confused with so many Discover variants on sale but Bajaj believes that it is doing so in order to get a bigger chunk of the pie. The competition for the bike includes the Honda CB Shine, Hero Glamour, TVS Phoenix 125, Suzuki Slingshot Plus and Hero Super Splendor. All these bikes are powered by a 125cc engine and are priced similar to what the Bajaj Discover 125 is priced at. When considering bikes which do not have a front disc brake, the Honda CB Shine is the cheapest at Rs. 47042 and the costliest is the Hero Glamor at Rs. 53,525. Comparing variants which are offered with front disc brakes, the Bajaj Discover 125 is the cheapest at Rs. 50,000 and the Hero Glamor the costliest at Rs. 55,525. In terms of city useability, the Hero Super Splendor and Glamour are on top as they deliver their peak torque of 10.35 Nm at a low 4000 RPM. The Bajaj Discover 125 is the most frugal of the lot, it will deliver 76 KMPL. The Hero Super Splendor and Hero Glamor could go further on a single tank though because of a larger tank. All the bikes get a 130mm front and rear drum brakes as standard. The Pheonix, CB Shine and Hero Glamor are also offered with 240mm front disc while the Discover 125 gets a 200mm disc. The Bajaj Discover gets a gas-charged coil-over spring hydraulic rear suspension, the others employ simple hydraulic coil-over spring rear suspensions. The TVS Phoenix and Hero Super Splendor get adjustable rear suspension. Keep tuned in to Car Blog India, subscribe to our daily newsletter.